Rooms from Dusit Thani and the reopened Raffles Hotel are seen to boost the supply. 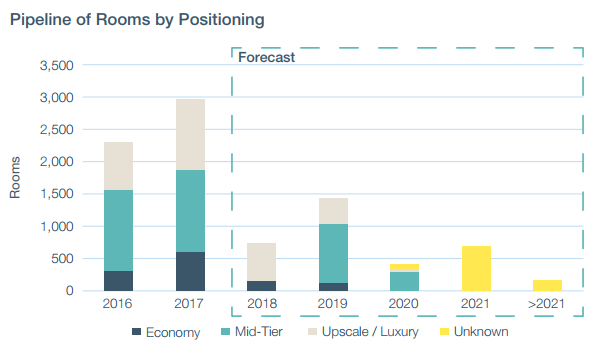 This chart from Savills Research shows that 737 hotel rooms are expected to come online 2018, a significant decrease from nearly 3,000 rooms launched in 2017. "The shrinking development pipeline is a result of the Urban Redevelopment Authority’s (URA) deliberate strategy to slow the pace of hotel development," Savills said. The new supply is expected to come from the Dusit Thani with 206 rooms, the reopening of the Raffles Hotel with 115 rooms, and -- potentially -- the Patina Capitol Singapore with 157 rooms. Although it obtained a Temporary Occupation Permit (TOP) in 2015, it remains embroiled in a legal dispute. Looking further ahead to 2019, another 1,425 rooms are expected to complete. 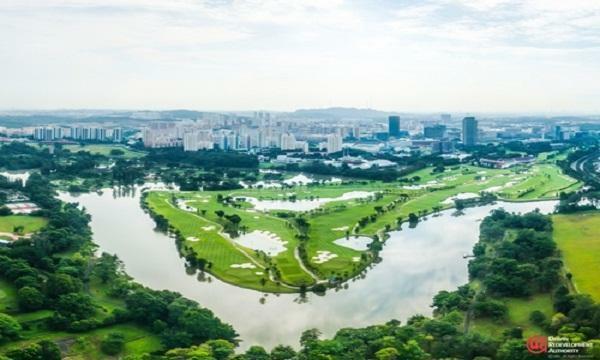 More than half of the total will be from 2 Far East Hospitality projects in Sentosa – The Outpost (193 rooms) and the Village Hotel Sentosa (606 rooms). Other hotels scheduled to open in 2019 are the EDITION by Marriott (190 keys by a JV between Hong Leong Holdings, City Developments Limited and Lea Investments), Singapore’s second YOTEL at Changi Jewel (130 keys) and the Capri by Fraser (306 rooms) on China Street. It should be noted that all references above that involve forecasting future supply are estimates only. Due to the inherent complexities of real estate development, it is likely that some of the projects may be delayed beyond their anticipated opening date, they may have concepts and scale revised or in some cases may even be postponed indefinitely. It is also likely that there may be other projects currently in planning or development that are not accounted for above. Readers are advised to use this information for reference purposes only, to independently verify the information and to conduct their own investigations.